Because of the mass shooting at the Pulse night club in Orlando, my memories of ALA’s Annual Conference in Orlando will always be rainbow hued. Attendees wore rainbow ribbons and black arm bands provided by the Task Force on Equity, Diversity, and Inclusion with the words “Equity,” “Diversity,” or “Inclusion” emblazoned, and there was a memorial service for the Pulse victims. My KQ blogs are generally focused on intellectual freedom issues, but this blog is a personal kaleidoscope of photos and memories. I attended sessions and went to the exhibits. I listened, learned, and chatted with other librarians in the food court, sessions, conference shuttle buses, exhibits, and restaurants. Slightly over 16,000 people (US and international librarians and vendors) were registered for the conference; we were a small city with a common purpose: learn, network, check out new products and services, AND meet our friends. In early June, AL Direct reported that 250 different programs and 2,500 separate events were scheduled. Here’s a whirlwind tour of some of the conference highlights for me. On Thursday, June 23, I attended the FTRF member reception, meeting many fellow FTRF members. I also had the pleasure of meeting the FTRF Conable Conference Scholarship recipient Katie Chamberlain Kritikos, a PhD student at the University of Wisconsin-Milwaukee. Later in the conference Katie was one of the presenters at the “Taking the Cake: A Generational Talkback” with Judy Platt of the Association of American Publishers. Watch the OIF Blog for speaker comments from that program. 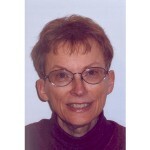 Jamie LaRue, executive director of FTRF and the Office for Intellectual Freedom, announced the “New Voices” initiative. You’ll read more about it in the coming months. My conference learning began on Friday, June 24, with a double session on the Every Student Succeeds Act (ESSA) sponsored by AASL and moderated by AASL President Leslie Preddy. Earlier in June, nine AASL leaders including Leslie had met with Dr. Monique Chism, deputy assistant secretary from the U.S. Department of Education (USED), Office of Elementary and Secondary Education, for a one hour “listening session.” At the session, Washington Office executive director Emily Sheketoff urged attendees to seize this opportunity to let administrators know that school librarians ensure student success. Emily said it is important for us to be part of the coalitions being formed to apply for grant dollars within ESSA. Two well-known school library advocates, Dorcas Hand, former director of libraries at Annunciation Orthodox School in Houston, and Kent Oliver, director of the Nashville Public Library, described their individual community advocacy programs. Dorcas’s advocacy coalition worked to save school library positions in the Houston Independent School District (Texas) with information and advocacy tools. Kent explained Nashville’s “Limitless Libraries” program, a collaboration between the Nashville Public Library and Metro Nashville Public Schools to share resources and improve students’ access to learning materials. The program started in 2009 as a pilot project, and by 2012-2013, all 128 Nashville public schools were included. Marcie Merola, from ALA’s Office for Library Advocacy, led an exercise in creating an “elevator speech.” Jay Bansbach, from the Maryland Department of Education, described each of the parts of ESSA, and every attendee received a card inscribed with “Ask me how school librarians ensure student success” and an outline of ESSA’s 4 titles. 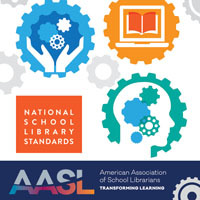 Previously in February 2016 Jay wrote a KQ blog titled “School Libraries, Every Student Succeeds Act (ESSA) and Title I- What Should We Ask?” The PowerPoint slides and other resources from the sessions are available on the ESSA section of the AASL website. A summary of tweets from session attendees is found on the June 30 KQ Blog by Hannah Byrd Little. On Friday afternoon, AASL’s Team A, five school librarians participating in the ALA Emerging Leaders Program, presented a poster session about their “Resource Guide for Underserved Student Populations.” The guide includes background information, resources, lesson plans and programming ideas, and book lists for serving children in foster care, homeless children, children with incarcerated parents, children of migrant workers, and children in non-traditional families. 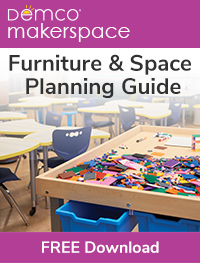 Watch for the free e-book on the AASL website. 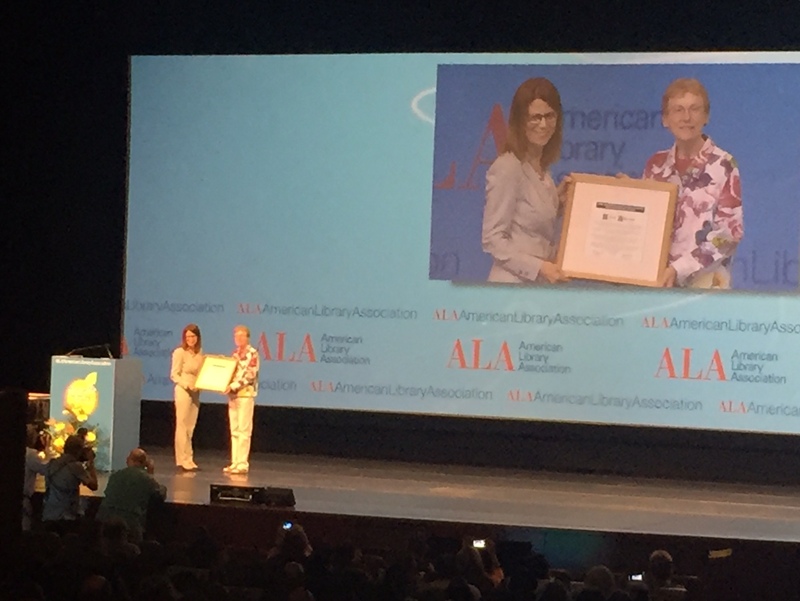 ALA President Sari Feldman presenting award. During the Opening General Session late Friday afternoon, ALA President Sari Feldman presented three FTRF Roll of Honor awards to Frank LoMonte, executive director of the Student Press Law Center; past ALA President and former FTRF trustee Nancy Kranich; and me (also a former FTRF trustee). I was honored to receive this award; it means a lot to be recognized by FTRF and the intellectual freedom community. Exhibits opened on Friday evening. NASA was a first-time exhibitor, and Brian Day, Lead for Citizen Science and Community Engagement, demonstrated an online program for visualizing Mars up close as well as one for browsing the moon’s surface. Another exhibit that caught my eye was from the Library of Congress, featuring its new exhibit booth. Live programs and printed resources on copyright, primary source resources, the Veteran’s History Project, cataloging, and more were available from LC throughout the conference. AASL’s awards ceremony on Saturday recognized many outstanding school librarians including the recipient of the AASL Distinguished Service Award, Hilda Weisburg, long-time co-editor of School Librarian’s Workshop and co-author of numerous books with former AASL president Ruth Toor. Every presentation and the story of each recipient was inspirational. 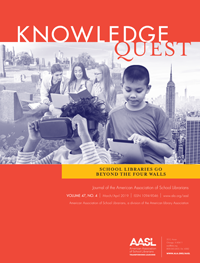 Learn about other award winners through individual AASL press releases. Later on Saturday the 2016 Best Apps for Teaching and Learning and the 2016 Best Websites for Teaching and Learning were announced. On Saturday and Sunday there was a Banned Books Readout Booth sponsored by the Office for Intellectual Freedom; the Gay, Lesbian, Bisexual, and Transgender Round Table, and Sage Publishing, The videos will appear on the Banned Books Week YouTube Channel. On Sunday, the Committee on Professional Development (COPE) presented an interactive session on the ethics of diversity to a standing room only crowd. After a brief introduction to the ALA Code of Ethics and International Federation of Library Associations (IFLA) Code of Ethics by Loida Garcia-Febo, COPE committee members acted out 3 skits involving ethical dilemmas: 1) a possible Islamophobic interaction between a Muslim staff member and a teenage patron and his parent, 2) a patron with two young sons reporting a woman in the men’s room, and 3) a meeting room situation in which a group wants to limit participation to people of color. Session attendees gave their opinions, and the main takeaways were. There are a variety of possible solutions; libraries have a wide range of policies, and being prepared by providing training for similar situations is key. ALA and AASL committees met during the conference. I attended three meetings of committees on which I serve: the American Libraries Advisory Board, the AASL Knowledge Quest Editorial Board, and the Privacy Subcommittee of the ALA Intellectual Freedom Committee. Of particular interest to school librarians, the KQ Editorial Board met to review the status of the 2016-2017 KQ issues, brainstormed themes for 2017-2018, and reviewed applications for new KQ bloggers. On late Monday afternoon I visited a meeting of the ALA Intellectual Freedom Committee; I begin my term on that committee in July. Elana Zeide, attorney and fellow at New York University presented the session “Student Privacy: The Big Picture on Big Data.” There is big money involved in big data, and student privacy in schools has changed dramatically. Yet, students still need to feel safe in a zone of privacy to explore personal and school-related topics in a school library without fearing potential repercussions. Dividing the session into three parts, Elana explored the history of student school records in the 1960’s, why the federal Family Educational Rights and Privacy Act (FERPA) was created, and its basic principles and exceptions. In part two, she discussed the current stream of data collection and its ramifications. Acknowledging that no one reads privacy policies, she urged transparency on the part of schools and vendors. Students and their parents need to know what data is being collected and how it is used. Collecting data for one purpose and using it for another is is not being transparent nor creating trust with families. 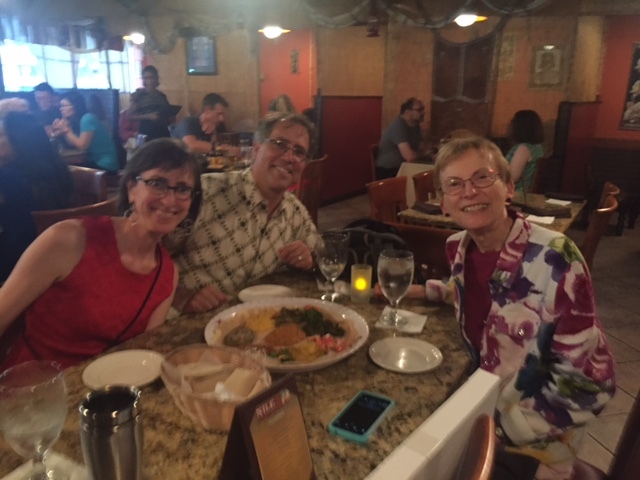 Beyond the sessions, committee meetings, and exhibits, one of the biggest part of any conference is reconnecting with friends and professional colleagues. For me, these are librarians and exhibitors whom I’ve met over my almost 30 years of attending ALA and AASL conferences. There is professional networking and sharing of ideas and resources, but on a purely personal nature, we catch up on each other’s lives. We share meals and the comfortable feeling that comes from being with long-time friends. I feel blessed to have met each one. qthomasbower. “Rainbow Flag.” https://www.flickr.com/photos/qthomasbower/19062349649/sizes/l/. Used under an Attribution Sharealike Creative Commons license. Other images provided by Nick Glass, TeachingBooks.net and Helen Adams. 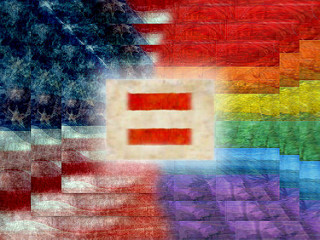 To read about the comments delivered in Orlandoby Katie Chamberlain Kritikos in the session “Taking the Cake: A Generational Talk-back” (Free speech & social justice), check out the July 12, 2016 Office for Intellectual Freedom Blog at http://www.oif.ala.org/oif/?p=6896/.